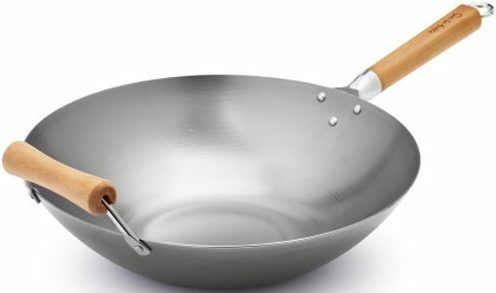 Start doing the best authentic Asian cooking at home with one of the best carbon steel woks available on the list. Yes, you can prepare delicious sweet & sour pork, spring rolls, and stir-fry with any of these kitchen utensils. Blow up your taste buds with healthy treats made in a carbon steel wok today. You will not be left disappointed. Pick your favorite size and design as each one have everything you need to start cooking up a storm. So be prepared when family and friends visit and serve them delicious Chinese treats. 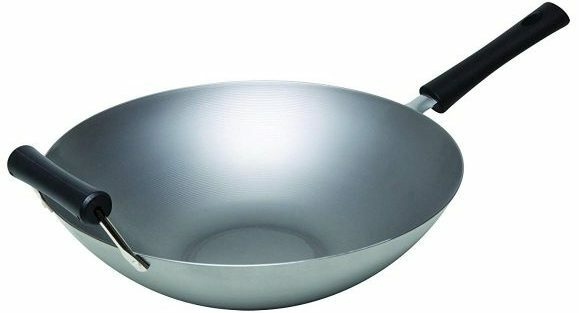 Whether you want to make Chinese food at home or restaurant the Hong Kong Style wok is perfect. 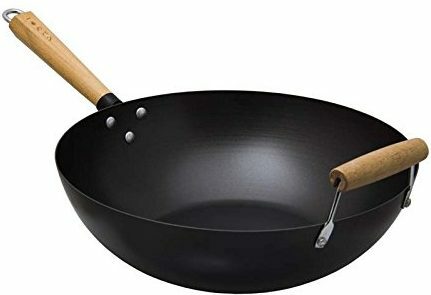 The pan has a carbon steel structure with riveted joint handle with round bottom. As it is carbon steel, you will have to season the cookware to prevent it from rusting. You can use the Japanese Style carbon steel wok at home or restaurant. The steel constructions 1.2mm thick and have welded joints with a round bottom. The pan comes with a protective coating you need to burn off first and needs seasoning before use. For a quality, carbon steel wok looks at the Chef line. The pans equipped with a durable wooden handle and you can use it on all stovetops. Extra you get a wooden handle helper for safe stirring and flipping of food. The cookware does not come pre-seasoned. The Sur La Table carbon steel wok is perfect for stir-frying veggies, meat, and steaming. The cookware has a maple handle and flat bottom to use on different cooktops. You can use it with metal utensils and needs seasoning. 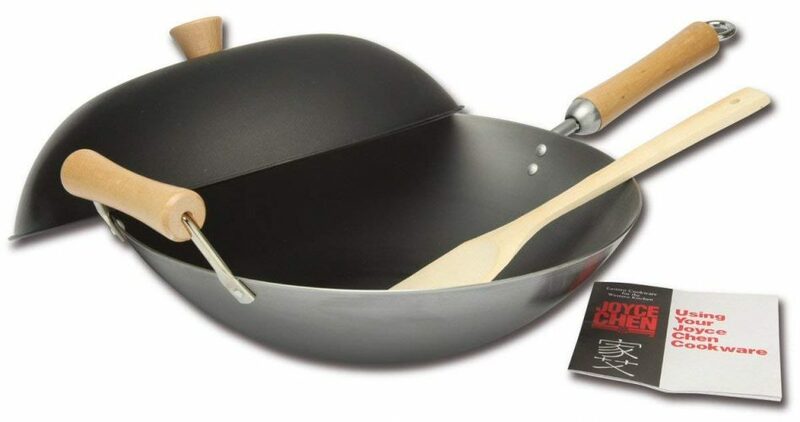 The following carbon steel wok from Joyce Chen you can buy as a set. Included you receive the 14-inch wok, bamboo spatula, recipe book, and dome lid. The cookware required seasoning and made with Birchwood stay-cool handles comprising of a long one and helper handle. 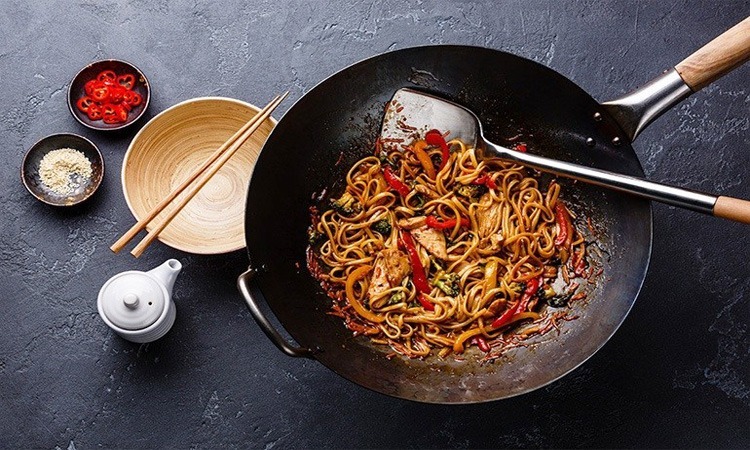 The carbon steel wok from Helen Chen is ideal for Asian cooking. 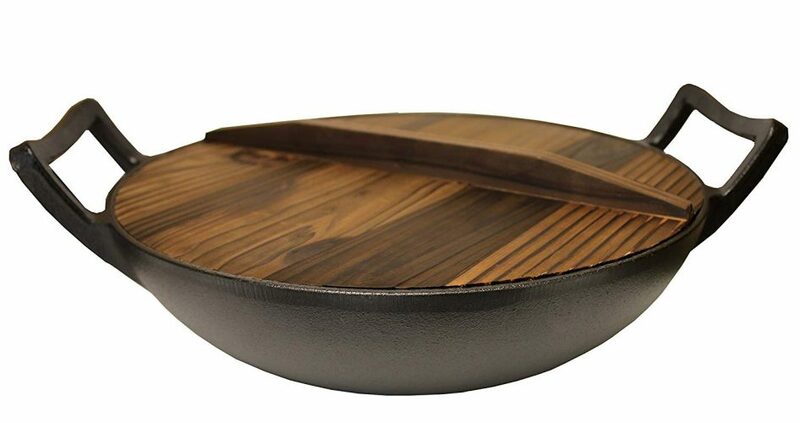 Included with the pan, you receive a gorgeous lid with wooden knob. The wooden handles look attractive and are sure to make an impressive statement in any kitchen. For healthy Asian cooking, you need the Keilen traditional carbon steel wok. The pan has plastic handles with a metal hanging ring. The bowl shape helps maximize the cooking area and has a flat bottom. You will need to season the cookware before using and best to hand wash.
With the flat bottom of the carbon steel wok displayed, you can use it on the electric stove and grill. To get full command of the cookware, it has a wooden side spool handle. The pan is unseasoned and needs seasoning before use. The best is hand washing the wok. 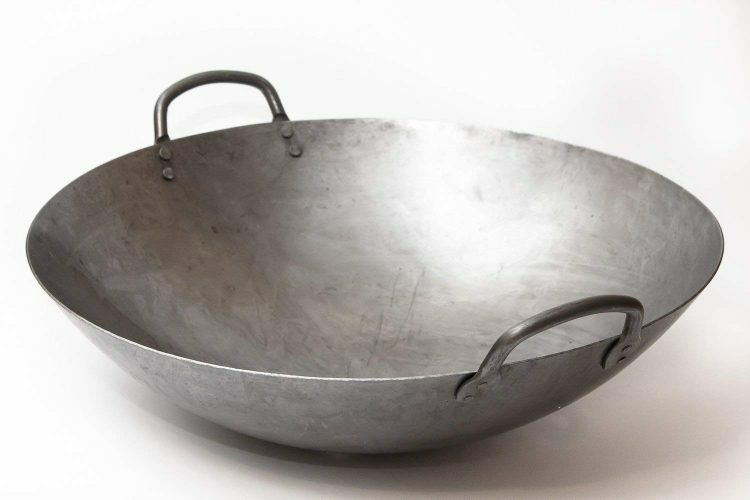 The Craft Wok has a carbon steel structure with a round bottom. 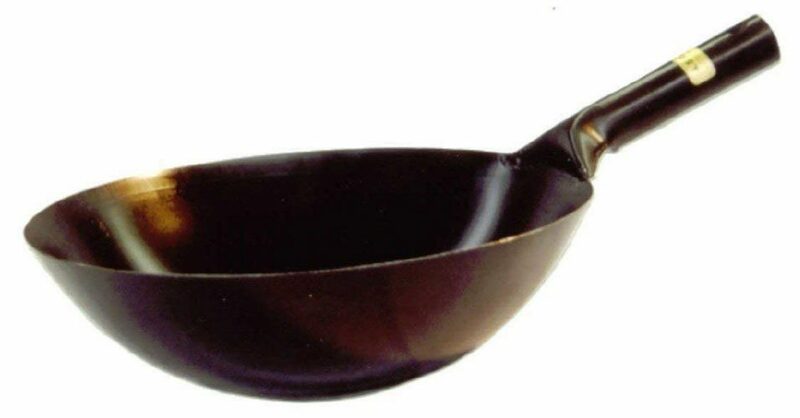 The pan needs seasoning before use and hand hammered to perfection. The cookware is the choice of many professional Chinese chefs. The Kasian House China wok is ready out of the box and pre-seasoned. Included you get a fabulous wooden lid to keep your food warm. You can use it on different cooking surfaces with the flat bottom design. You get a satisfaction guarantee included. As you can see, the Carbon Steel Woks reviewed need seasoning before use. But if you are still not sure which model is the best for you we recommend the Helen Chef’s model. The included lid is high and suitable for steaming, and the wooden handles look amazing. The capacity is enough to cook for family and friends. Push your cooking skills to the limit with the best carbon steel wok on the list.